Nourish and protect your skin by using 100% Australian mineral cosmetics and organic skincare makeup made by Adorn Cosmetics. WirePegs.com offer an environmentally friendly and durable solution using stainless steel wire pegs that will change your life and save you money. 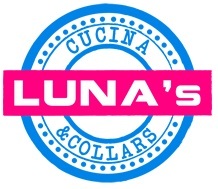 Luna’s Cucina and Collars – 100% Natural and Human Grade Dog Treats and Pupcakes, Hand Made Collars and Leashes Melbourne. Nullamunjie Extra Virgin Olive Oil – Our fruit is grown in accordance with organic principles and no artificial fertilizers, pesticides or herbicides are used in the grove. Rick Grant is the leading Gluten Free Chef/Baker and Allergen Friendly IP developer in Australia today and also runs Rick Grant Cooking School.